As the oldest of eight children, it’s no surprise Symoné Simmons helped take care of others as she was growing up. If it wasn’t her own siblings, it was her aging grandparents, and she loved it. If this high school senior already sounds like a future doctor, that’s because she’s taking advantage of every opportunity she can to go down that path. 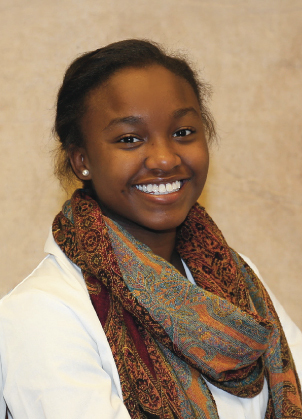 Symoné was a 2015 Minority Medical Mentoring Program (MMMP) intern at Mountain AHEC, where she was exposed to the health care field in a way that cannot be done by a guest speaker at school. Symoné and other interns shadowed a variety of health professionals, seeing how day-to-day operations really work.